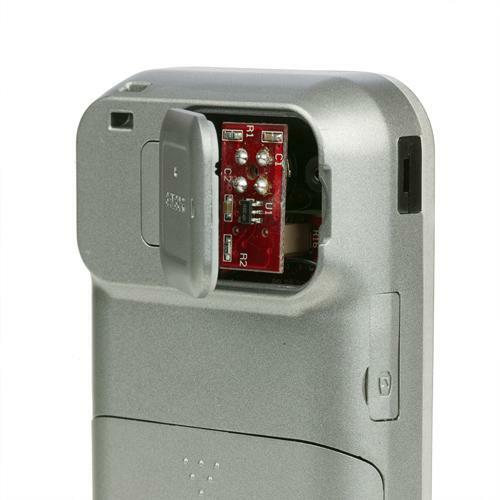 AlcoMate Premium AL7000 Breathalyzer with PRISM Technology provides accurate results and the lowest cost of ownership over traditional semiconductor-based breathalyzers. In situations that mandate a reliable and accurate BAC reading, you can depend on the AL7000. Approved by the Department of Transportation and US Coast Guard to provide accurate readings when screening for BAC. With the Patented PRISM Technology sensor exclusive to AlcoMate, you never have to hassle yourself with sending your breathalyzer to a lab for frequent calibrations. The AlcoMate Premium is meant to be self-serviced avoiding the inconvenience and cost of mailing your breathalyzer away when you may need it the most. Count on the AlcoMate Premium to be there for your personal and/or professional alcohol testing needs. The Field Replaceable Sensor Technology guarantees unit readiness in remote field testing situations such as maritime and military applications. With the user replaceable sensor technology, you will replace the old sensor with a new factory calibrated one. This capability will dramatically extend the life and usability of your investment. 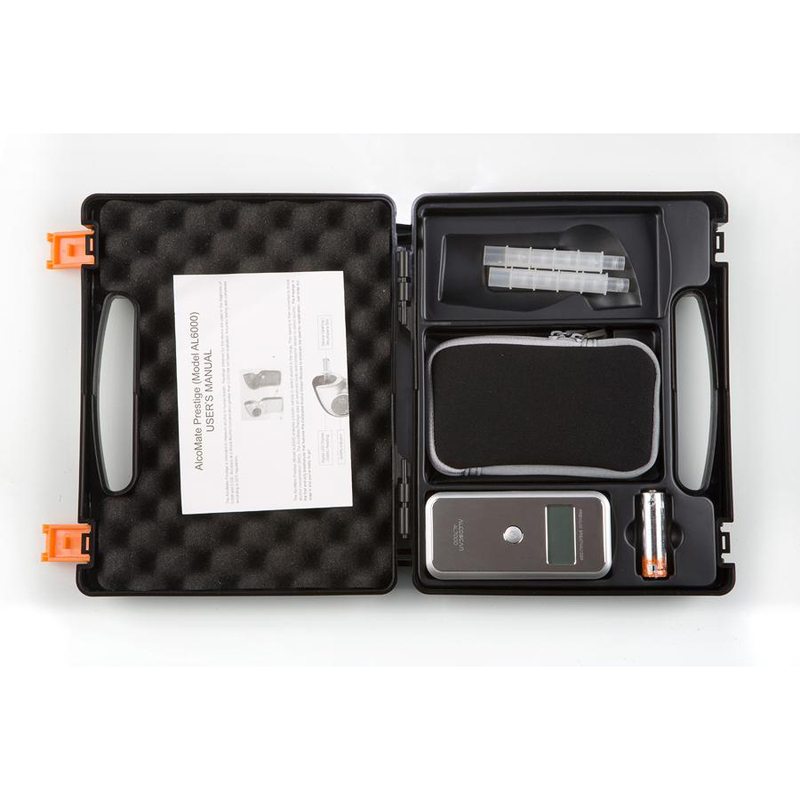 The AlcoMate Premium AL7000 is the only breathalyzer in the market that guarantees factory calibration accuracy in the field without wasting time and money to send the entire device for calibration. In the AL7000, sensor replacement has been further simplified by designing the sensor module in an accessible chamber. Open the rear chamber door, pop the old one out and drop in an AlcoMate AL7000 sensor. It is indeed simpler than changing the batteries. See video below. Featuring an extended breathalyzer mouthpiece. every mouthpieces is individually wrapped for clinical applications and in compliance with the FDA rules and regulations where disease control is of prime concern. The extended feature prevents the subject lips from touching the body of the device. An important aspect of breath alcohol testing is to ensure that subject exhales enough volume of air through the tester. AlcoMate AL7000 first verifies that enough air has been blown before it qualifies a sample. If the device recognizes that not enough air was blown, or there was an interruption is the flow it will stop and displays an error message "FLOW". The test should be repeated. AlcoMate Premium AL7000 breathalyzer is built in a manufacturing governed by the ISO9000 quality standard and procedures to ensure the highest degree of product reliability. What is the difference between the AlcoMate Premium and AlcoMate Prestige model? The AlcoMate Prestige is an affordable alternative for personal users to take full advantage of PRISM technology on a budget. 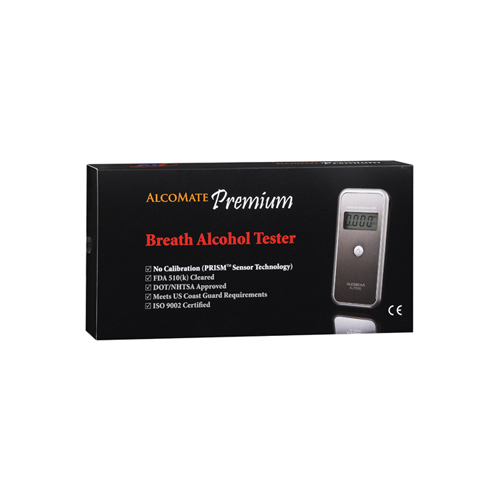 The AlcoMate Premium is a 2nd generation breathalyzer that improves upon the pre-calibrated sensor technology. The Premium makes several advances over the Prestige model. Other that stylish look, it has improved its display (3 decimal points vs 2), self diagnostic, mouthpiece storage, and easier sensor replacement. How many tests can I perform with the AlcoMate Premium AL7000 before I must replace the sensor module? Under ideal situation, the AlcoMate Premium should perform roughly 300 tests before needing a sensor replacement. Continuous testing with higher amounts of alcohol may potentially wear out the sensor faster and reduce this number. 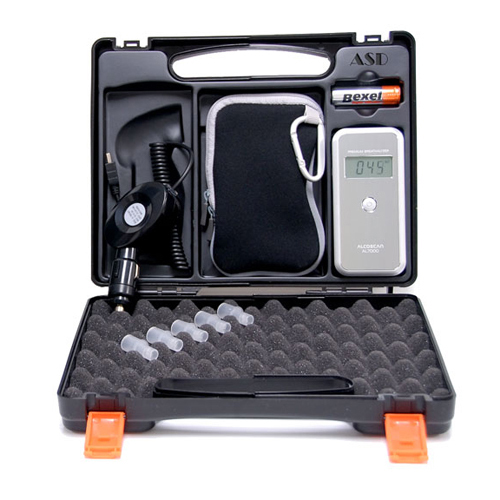 The AL7000 breathalyzer self-diagnostic system will check the sensor's health and will display "SEN" or "err2". 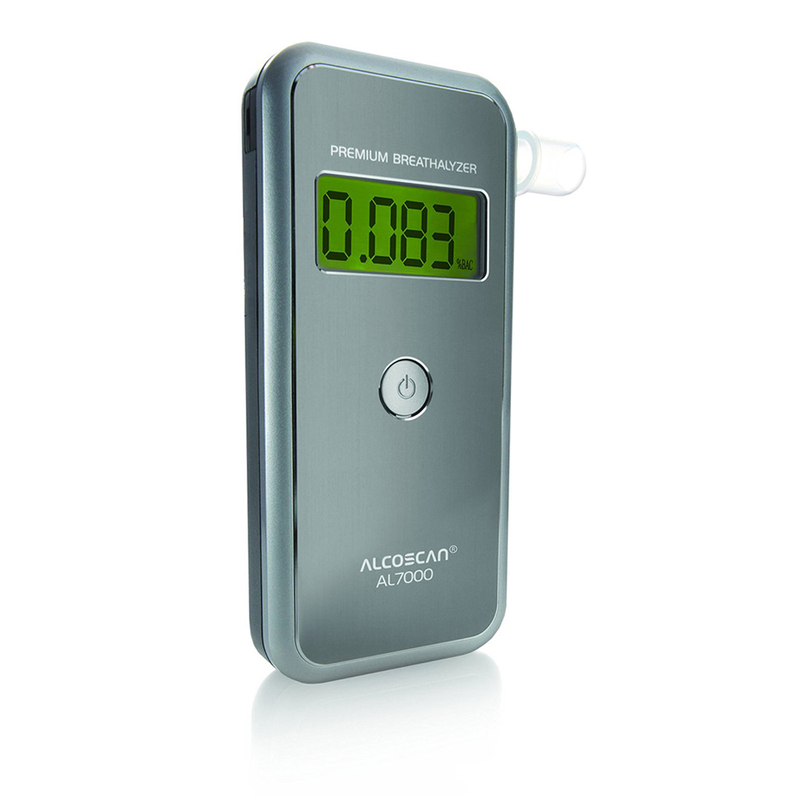 Our office uses the AL7000 to test and the breathalyzer performs like a champ. Changing the sensor is very easy and my staff never has any difficulties using this model. We had a bactrack, but we got tired of the constant calibrations and expensive mouthpieces. Highly recommend! Bought the AL7000 with pretty high expectations after having bought a bactrack that required me to send it in for calibration ever 3 months because of our high use. The replaceable sensor really sold me because we just buy 2-3 at a time and swap them out whenever we need it. So far the alcomate premium has worked out really well for our office and our technicians have been pretty happy operating them so far. ASD has been great with support and helping us get up to speed. Shipping was fast and it's great we got set up with an open account for invoicing us the bill. I purchased a breathalyzer from Bestbuy called the Breathometer Breeze and couldn't for the life of me figure out how to get it to work with my smartphone. I ended up returning it and getting the AL7000. It starts right up and is incredibly easy to use. Best thing is I don't have to have two devices to do a test. One thing breathometer won't tell you is that the DOT or department of transportation doesn't approve it. Pretty happy so far with this model. Shipping was fast and the item arrived as described. This is a definite improvement from their Prestige model--sleeker, more accurate, and easier to carry around. It's an important addition to any night out and a great device for groups to check their BAC. I was very pleased by the quick and accurate results from this device. I enjoyed it so much that I will likely purchase one for my younger cousin for her to place in her car for convenience and safety. Definitely recommend this brand for those of you who are on the fence about which breathalyzer to purchase! 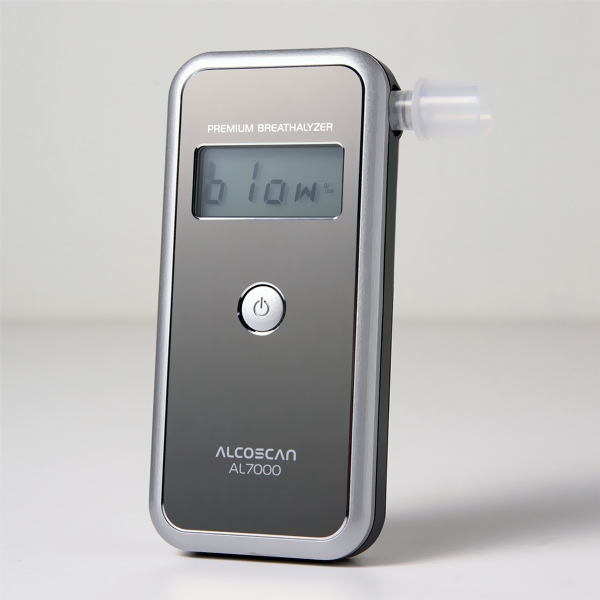 I used this product recently and I'm sold on it- Of Alcomate's breathalyzer's definitely the best one. Works in seconds, easy to use, and has a long battery life. For the price this can't be beat. Seems to work very well, better than the "accuracy testing" info in the documents it came with led me to expect. Practical, discrete, and even fun at parties. Great value too. Everyone should have one. this product is great! it does what it says it does. 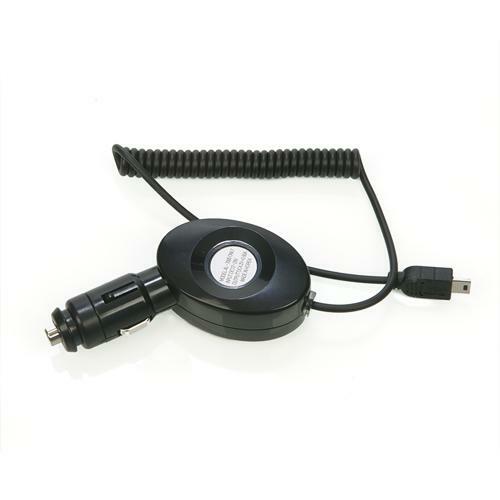 This product is extremely user friendly and the warranty is great! Although, AlcoMate Premium like all other breathalyzers will experience a degradation in sensor accuracy over time, but The AL7000 is so unique that you will never have to send it in for calibration. Simply unplug the old sensor and plug in a new sensor. You are now ready to go again and again. For any questions, please contact us at 1-818-701-9200.